Advancing science and technology to explore and connect with art and the genius found in our cultural heritage. 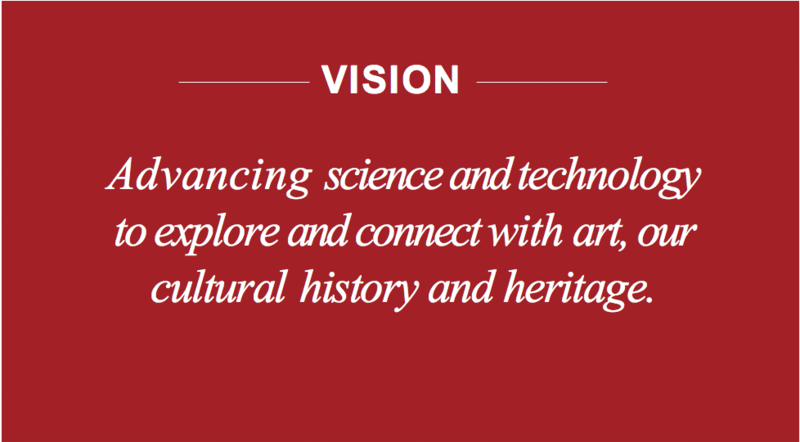 The Seracini Research Foundation for Cultural Heritage is a non-profit organization dedicated to furthering the role of science and technology in the exploration and study of art and historic sites as well as elevating its essential role in conservation and preservation. The Foundation is dedicated to using its findings to educate the general public as well as train the next generation of art researchers and scientists. Conduct scientific research studies of world renown works of art and historical monuments. Distribute the findings through documentaries, presentations, published articles and books. Research and develop advanced diagnostic technologies to improve and facilitate the study of Cultural Heritage artifacts. Partner with universities, foundations and cultural heritage organizations worldwide to encourage truly multi-disciplinary collaboration. Work with International Law Enforcement Agencies to aid art crimes investigations. Train a new generation of scientists, engineers and historical art diagnosticians to explore new technologies and continue scientific research in the future. Digitize Seracini’s database of 3,500 studies and make it available to scholars and general public worldwide through an online research portal. Develop the concept of the Seracini’s “Clinical Chart of Art” and establish universal standards and protocols for the scientific study of art. Perform studies on great masterpieces around the world, with a goal of completing The Da Vinci Trail, including the search for “The Battle of Anghiari”. For more information about the Foundation, donations and planned research email us at info@seracini.org.